A European program led by the University of Burgos (UBU) encourages the use of robots in children to boost skills in Science, Technology, Mathematics and Engineering (STEM). Researchers from Spain, Sweden, Italy and Cyprus collaborate in a European project that aims to generalize the use of robotics in classrooms. 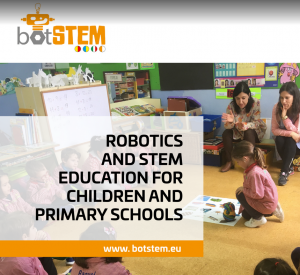 The program, called “botSTEM”, has just completed its first phase and this October begins an experimental phase in educational centers of the four countries involved. In the case of Burgos, this test of effectiveness will be carried out in three educational centers and the experimental manual will be applied in students from 4 to 8 years and supervised by fifty teachers.